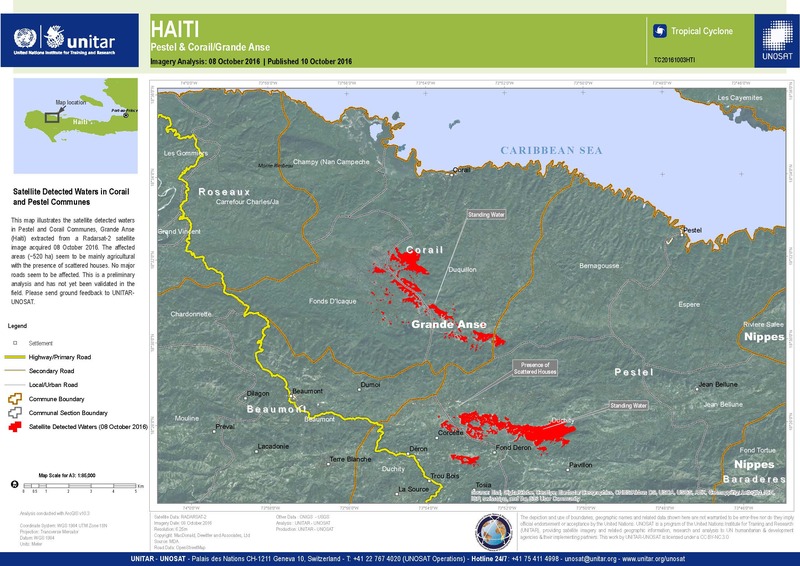 This map illustrates the satellite detected waters in Pestel and Corail Communes, Grande Anse (Haiti) extracted from a Radarsat-2 satellite image acquired 08 October 2016. The affected areas (~520 ha) seem to be mainly agricultural with the presence of scattered houses. No major roads seem to be affected. This is a preliminary analysis and has not yet been validated in the field. Please send ground feedback to UNITAR-UNOSAT.